!!! KNOW Constitution - Or NO Constitution !!! In the beginning of our Republic, what were once known as Statesmen have since turned into politicians, and WORSE...our elected servants have become self-serving political whores. They pass Bills they haven't read to fix one problem while creating ten more problems. Then they want us to re-elect them so they can fix those problems that THEY CREATED! They've made quite a mess in Washington, D.C. We can point fingers at others but the undeniable fact is that IT'S OUR FAULT FOR PUTTING THEM THERE! The politicians won't fix our broken political system because BOTH the Democrat and Republican party LEADERSHIP IS CORRUPT! 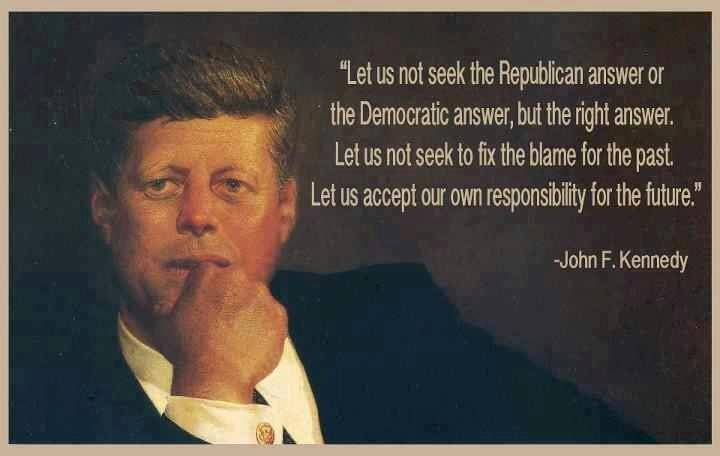 Only "We the People" can save our Republic. 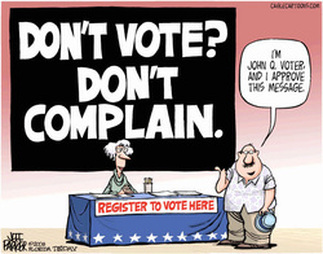 But we can't do it by voting blind allegiance to CORRUPT PARTIES THAT DIVIDE US. It's time to unite and VOTE FOR THE CONSTITUTION OF THE UNITED STATES (1791). But how can we do that if we don't know and understand the Constitution and the republic our Founding Fathers intended? We need to read, study, and understand the Constitution so that we can teach it to our children because it isn't being taught in our schools as it should. No one will really understand politics until they understand that politicians are not trying to solve our problems. 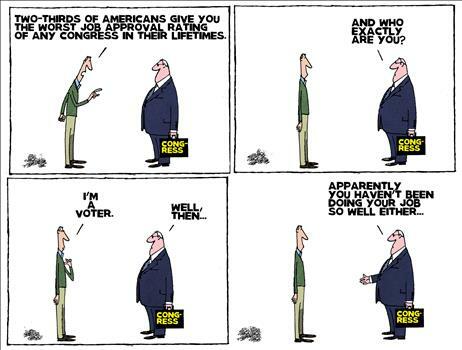 They are trying to solve their own problems-- of which getting elected and re-elected are number one and number two. Whatever is number three is far behind. Was that stupid? Not at all. The money that was being put at risk was not the politicians' money, and in most cases was not even the government's money. Moreover, the jobs that are being lost by the millions are not the politicians' jobs-- and jobs in the government's bureaucracies are increasing. No one pushed these reckless mortgage lending policies more than Congressman Barney Frank, who brushed aside warnings about risk, and said in 2003 that he wanted to "roll the dice" even more in the housing markets. But it would very rash to bet against Congressman Frank's getting re-elected in 2010. After the cascade of economic disasters that began in the housing markets in 2006 and spread into the financial markets in Wall Street and even overseas, people in the private sector pulled back. Banks stopped making so many risky loans. Home buyers began buying homes they could afford, instead of going out on a limb with "creative"-- and risky-- financing schemes to buy homes that were beyond their means. But politicians went directly in the opposite direction. In the name of "rescuing" the housing market, Congress passed laws enabling the Federal Housing Administration to insure more and bigger risky loans-- loans where there is less than a 4 percent down payment. A recent news story told of three young men who chipped in a total of $33,000 to buy a home in San Francisco that cost nearly a million dollars. Why would a bank lend that kind of money to them on such a small down payment? Because the loan was insured by the Federal Housing Administration. The bank wasn't taking any risk. If the three guys defaulted, the bank could always collect the money from the Federal Housing Administration. The only risk was to the taxpayers. Does the Federal Housing Administration have unlimited money to bail out bad loans? Actually there have been so many defaults that the FHA's own reserves have dropped below where they are supposed to be. But not to worry. There will always be taxpayers, not to mention future generations to pay off the national debt. Very few people are likely to connect the dots back to those members of Congress who voted for bigger mortgage guarantees and bailouts by the FHA. So the bureaucrats' jobs are safe, even if millions of other people's jobs are not. 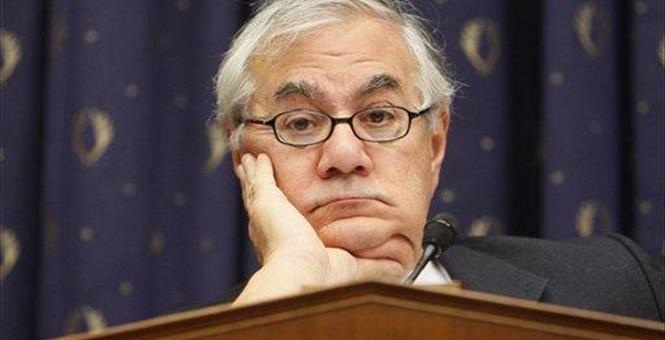 So long as the taxpayers don't understand that all this political generosity and compassion are at their expense, Barney Frank is an odds-on favorite to get re-elected. The man is not stupid. As for the FHA running low on money, that is not about to stop the gravy train, certainly not with an election coming up in 2010. The Federal Deposit Insurance Corporation is also running low on money. But that is not going to stop them from insuring bank accounts up to a quarter of a million dollars. It would be stupid for them to stop with an election coming up in 2010. ﻿The Constitution of the United States is the greatest Constitution ever written. It was signed and adopted by the Founding Fathers on September 17, 1787 and fully ratified by the States on January 10, 1791, making it the oldest working Constitution in the history of the world. This is a testament to our Founding Fathers who were not only educated and intelligent but applied their intelligence most wisely when crafting the Constitution. They could easily have set themselves up as monarchs and kings but they resisted personal temptation for the greater benefit of all mankind. As a result, through the principles of fiscal responsibility, limited government, and free markets, the United States grew to become the wealthiest and most powerful nation in the history of the world. For about the first 100 years or so, our leaders adhered to the fundamental principles of the Constitution and the Republic that our Founding Fathers intended most likely due to the fact that the Founding Fathers were still alive during about half of that time and also because the early American generations fiercely cherished their independence and Liberty that they sacrificed, fought and died for. But when Statesmen started turning into self serving political whores the greatness of the United States started diminishing. A Crisis in Washington, D.C.
Our elected servants swear an Oath of Office to "preserve, protect, and defend the Constitution of the United States against all enemies, foreign and domestic..." The REAL problem in Washington, D.C. is that they are not honoring their Oath of Office, or following the Constitution of the United States (1787) for that matter, because they either don't know and understand the Constitution and the Republic that our Founding Fathers intended, or they just plain don't care. The first case is plain, simple ignorance. The second case is at least Perjury and possibly Treason. In either case, they put our Constitution, our Republic, and our Liberty in grave peril. Question: How can our elected servants possibly "preserve, protect, and defend" something they either don't know and understand or just plain don't care about? While impeachment is an option, VOTING THEM OUT is the only real, practical solution for HOPE for CHANGE. But how can we elect constitutional candidates if "We the People" don't know and understand the Constitution of the United States (1787) and the Republic our Founding Fathers intended? We must read it, study it, and understand it by reading the original source documents that influenced the thinking and writings of our Founding Fathers. Then we must teach it to our children because it isn't being taught in the schools like it should. Something else to consider is that our military swears the same Oath to the Constitution. What would happen if they just decided not to honor their Oath? Video of Barack Hussein Obama's inaugural swearing in ceremony to the Office of the President of the United States on January 20, 2009. Did you know there was a second, private swearing in ceremony in the White House the next day? The ONLY SOLUTION to the Crisis in Washington, D.C.